When the skills of masters intertwine and combine the product is not always greatness, it takes a subtle connection, and only with this do the truly great collaborations come to be. When the vision and talent of great artists meet it elevates everyone included for the enjoyment of all. 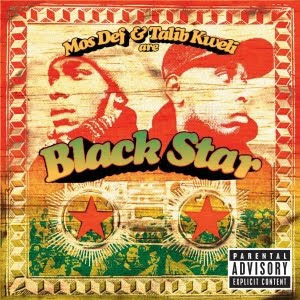 Thankfully as soon as Mos Def and Talib Kweli (circa 97) discovered the magic they could make, they both set aside their solo projects set out to create a full album collaboration. Black Star, the name a tribute to Marcus Garvey's shipping line, pushes the limits of philosophical exploration, critical social analysis, poetic device and rhyme styling. I couldve taken any track off the album for this JamandaHalf because theyre all that dope so I stuck with my favorite cut. Along with Common, the Black Star crew bring the spirit of the city to life by exploring urban culture through rhymes. A steady dose of personification gives the city the breath and heartbeat that city folk feel the world round. The tone is dark and ominous but has a special beauty that reflects the hardened passion that each rhymer has for their hometown. I cant come close to matching the grace and skill of this track's poetic styling in this small intro so Ill let the tune speak for itself. Please enjoy the lyrical mastercraft of three of the world's finest MCs.